Home » Manual Therapy: NAGS, SNAGS, MWMS etc. Manual Therapy: NAGS, SNAGS, MWMS etc. 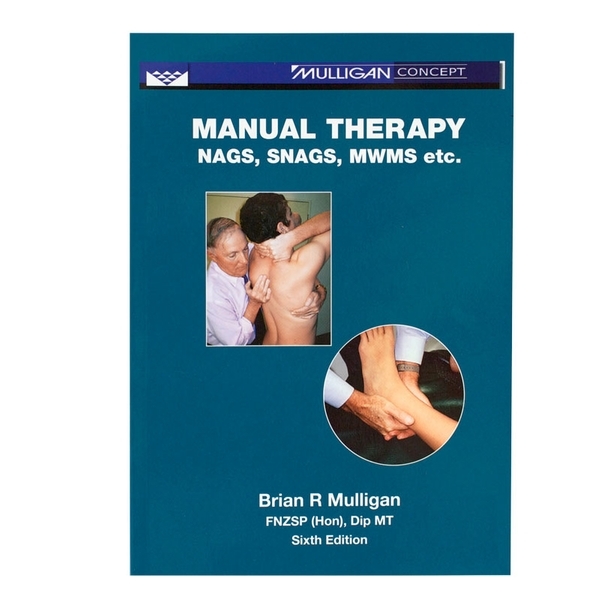 This essential resource for physical therapists details the manual therapy techniques used in the Mulligan Concept, developed by world renowned manual therapist Brian Mulligan. The Mulligan Concept has become one of the most popular manual therapy techniques for musculoskeletal disorders. It utilizes NAGS (Natural Apophyseal Glides), SNAGS (Sustained Natural Apophyseal Glides) and MWMS (Mobilisations with Movement), for the spine and extremities used to treat a myriad of musculoskeletal conditions. The updated 7th edition includes all elements of the Mulligan Concept with additional text, added references and updated techniques, including a unique new SNAG technique for the upper cervical spine, which involves three joints at the same time. Written by one of the world’s foremost experts on manual therapy, Brian Mulligan. Illustrated. Softcover, 132 pages. 7th ed.